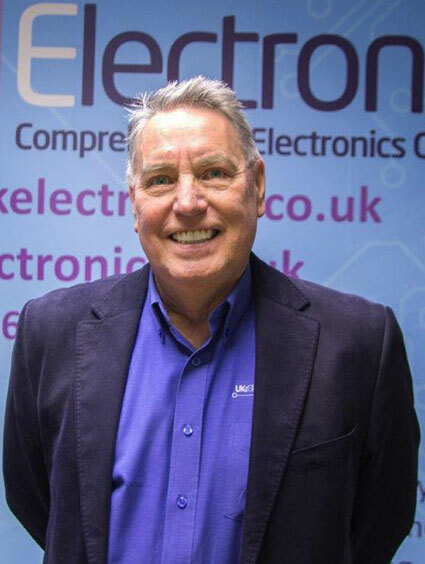 Originally formed in 1983, UK Electronics have been providing a high quality, cost-effective service to customers who prefer to outsource their electronic design, manufacture and test requirements. UK Electronics originally set up as a bare board broker and design house and opened its first production facility in the early 90’s, initially with just a handful of employees. 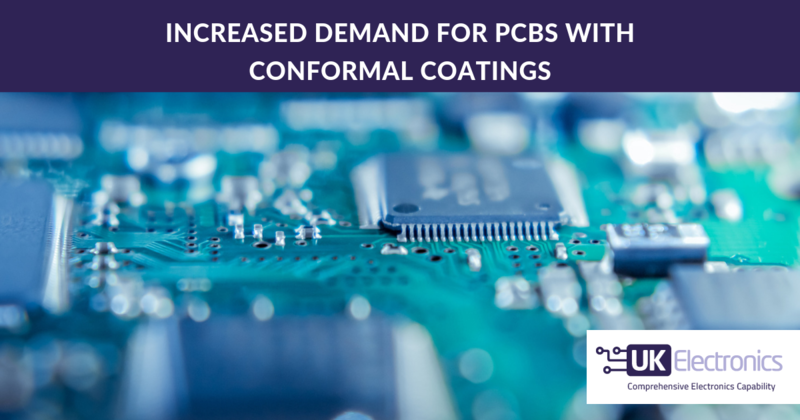 During the late 90’s the company began to expand increasing the number of assembly staff to double figures and in addition added surface mount capabilities to its profile. By 2002 the company had also added a box build / mechanical department to its structure as part of on going demand from its customers. In October 2003 the business was acquired by the present directors, Neil Carr, Ian Duckworth and Gary Howarth. Together with the help of their dedicated employees the company excelled and the order book continued to expand. Throughout 2007 the company realised that it needed to move to larger premises to support its ever increasing order book. So in the autumn of 2008 UK Electronics moved to its present location in Royton. In addition significant funds were invested in the latest plant equipment to increase the company’s technical capability and capacity. In the interim the company continued to develop and expand. To support its expanding customer base the company has continued to invest in people skills and the latest technology available. In early 2016 we introduced a new fully automated Surface mount line which included the very latest ‘Decan’ placer from Samsung. This machine is the first to be installed in the UK and has a placement rate of 80,000cph. Fast forward to 2018, we have invested a further £150k in installing a Samsung Hanwha SM481 plus flexible pick and place machine and a Samsung SP450V fully automated screen printer. With the latest investment it has allowed UKE to increase capacity by approximately 40%. Whether you require electronic assembly, hardware or embedded software design, PCB supply, PCB layout, pre-compliance EMC testing or any combination of the above, we have the capability to turn your ideas into reality. We are situated in the Greater Manchester area, which enables easy access to all of the North West’s motorways ensuring that our technical sales representatives are always within easy reach, whether you need assistance regarding prototypes or a general production enquiry. Please browse our website to discover how UK Electronics can improve the efficiency and profitability of your operation. If you wish to discover more about the services that we provide contact a member of our sales team now. We are always happy to discuss your requirements without obligation and guarantee a friendly and professional service tailored to your requirements. Neil, along with Gary and Ian, acquired the business in 2003. Unusual in that he knows zero about electronics! His role is described by Neil as one of pushing and prodding to make sure the job gets done. He is a season ticket holder at MCFC, a keen sailor and a regular squash player. He swears the older he gets the better he was! His lifelong ambition is to enjoy retirement but he has no idea how that might be achieved. Gary was one of three who acquired the business in 2003 and has been working in the company for over 20 years with only a mug to show for it all. He has thirty years of electronics experience. 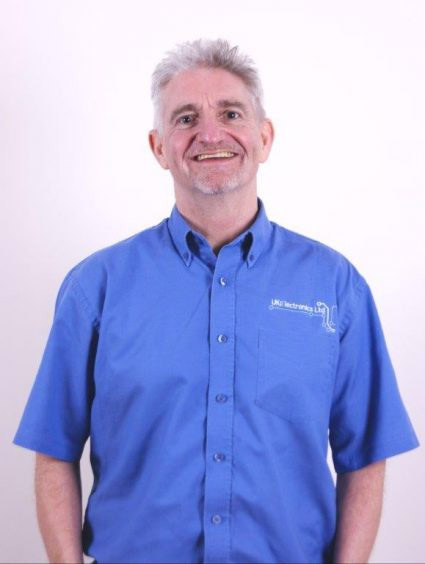 His main role is Operations Director but he still loves customer interface and often can be found with his head deep in a circuit board, addressing some problem or other, although this never stops him talking! He claims he is a medical miracle with the amount of stress he regularly claims to be under and can often be seen running round the factory doing funky chicken impressions. He lists his hobbies as football, reading, and his new grandson. 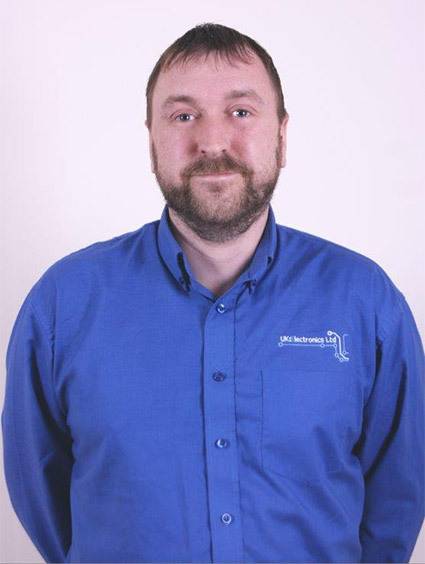 Martin is our Production Manager, having joined in 2005 and worked his way up the ranks and through a variety of roles within the company. He lists his interests as his children (he needs to stop at three now) and performing live music whenever he has the opportunity. His dreams are to have an order that gives him adequate lead times and to find a hair rejuvenation product that actually works! Maybe the two are inextricably linked? 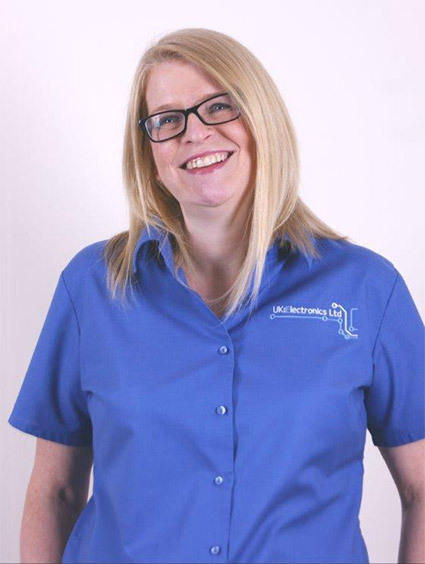 Caroline joined early in 2014 and is our Sales and Business Development Manager. 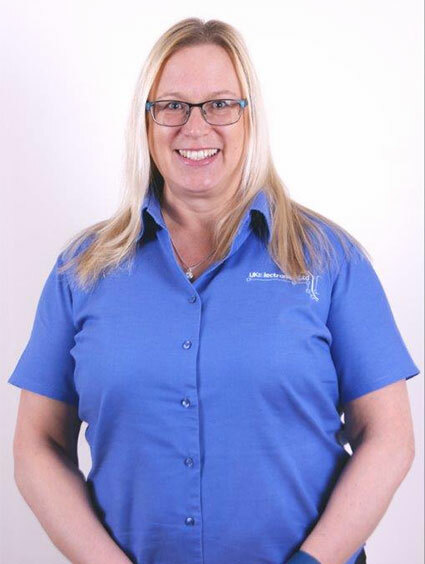 She works closely with the internal team to manage existing customers and increase our customer portfolio. Her hobbies are socialising, which she practices regularly, and occasionally visiting the gym. No one can remember that occasion! Her wish (which is shared by the rest of us) is for her to retire to the Caribbean in the next few years. Good luck with that one Caroline! 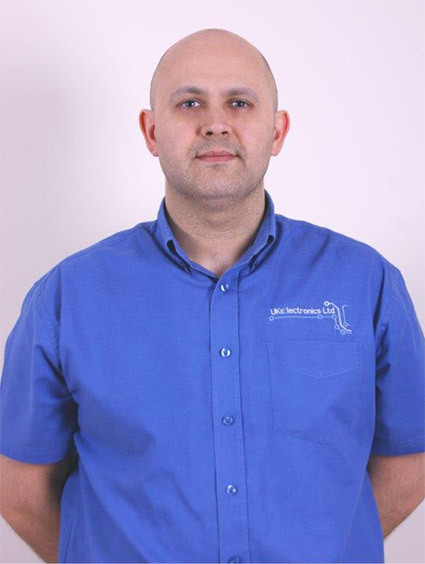 Freddie joined in 2015 and is our Quality Manager and is therefore responsible for managing our ISO 9001 and 14001. 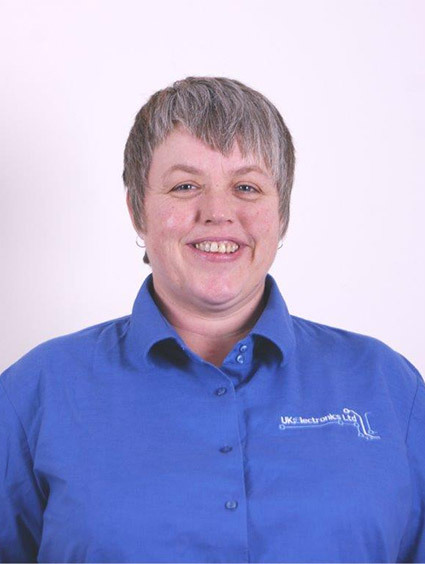 She is also our certified IPC trainer; oversees Health & Safety: and PAT testing and Calibration. As such she is our most certified person! In her spare time she supports a family dance troupe and enjoys the cinema, concerts and DIY. Part of the furniture, Gregg will be racking up twenty years soon. Gregg collates and processes all orders and assists Martin in production. 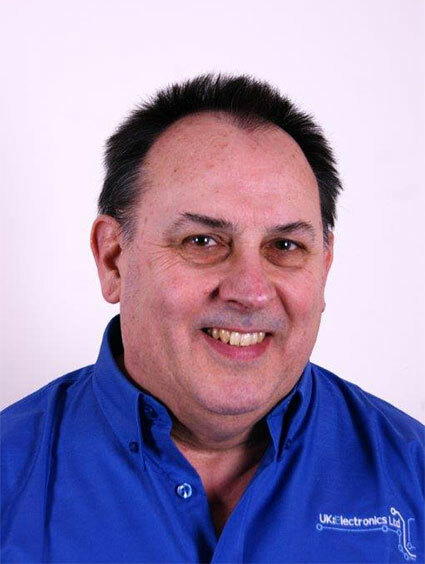 His (strange) ambition is to be Gary Howarth – no wonder he lists his hobbies as drinking wine! Ian is our financial director which means he is very boring. This assertion is supported by the fact that he lists his interests as F1, Classic cars and Bolton Wanderers. Because he is so boring there is little else we can say about him! Our Yorky biker gal, Helen joined UKE in February 2015 and is often seen in her leathers in the summer months – a sight not to be underestimated first thing in the morning! As Head of purchasing Helen is responsible for getting all those bits in on time to fit to your board. Her hobbies are biking and travelling and her ambition is to fulfil a long bucket list of places to visit.